There are many ways that a person can succeed online. These ways all have a couple of things in common and that is, they are time consuming and they are a lot of work. I don’t mean to scare you but you need to understand from the get go that whatever method you choose to make money online, it will not be happen overnight. If someone tells you that you will be a millionaire in a year take your money and run the other way. When you first start to contemplate having an online business you may not have any idea as to where you should begin. These are just a few things that people can be passionate about. Make a list for yourself. Now when you look at your list do you think you will be able to create content on one of your passions? You’re going to hear this a lot as you grow your business -“Content is King” So you need to pick a topic that you feel you can write about. This could be about something you know a lot about already or a topic that you are willing to research and find out about. One of the ways to succeed online is through Affiliate Marketing. Affiliate Marketing is when you agree to sell products for someone else for a commission. You are an online salesman. So what type of product can you sell. You name it you can probably sell it online. You can sell physical products or you can sell digital products. One place to find digital products is at a place called Clickbank. It is one of the largest digital marketplaces online. There are ebooks on weight loss, recipes, dog training, gardening etc. You name it they have it. The percentage that you receive from a sale is quite high, some going as high as 75%. Each sale can quickly add up. Now places like Amazon that also sell physical products do not pay as high. So when looking for a product to promote from Amazon make sure you’re promoting a high ticketed item. Other products that you can promote are found from the actual owners of the product. An example of one of those products is Wealthy Affiliate. This type of product is a membership. In order to view the many tutorials and take advantage of the many training tools available at Wealthy Affiliate you need to be a member. The best way to sell products online is by having a website. As an affiliate for someone who owns a product, often the owner of the product will give you banners and ads and content that you can use on your website. Any content that you are given I would recommend just using it as a guideline for your own content. Just remember you are not the only one promoting their product and the more unique and original your content the better for your rankings. In my experience as an affiliate I have never had to pay to be an affiliate. So if someone is asking you for money so you can promote their product I would really make sure that they are legit. Now places like Wealthy Affiliate do require that you are a member in order for you to promote them. Other membership sites are like that also. When you think about it, it does makes perfect sense. A lot of times when you sign up to become an affiliate for someone they will ask you how you intend to promote their product and they will ask to see your website. Often they are just trying to establish that you have a website even if it is totally unrelated. Most times it is not a problem getting accepted into an affiliate program but occasionally you will come across one that will turn you down. Don’t sweat it. 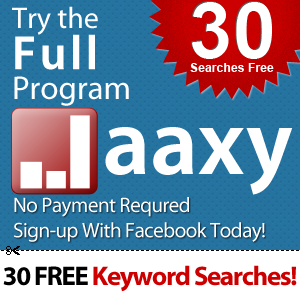 There are many affiliate programs out there so you are sure to find one. 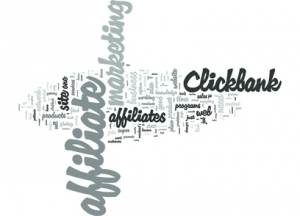 In summary one of the ways to online success is through Affiliate Marketing. To be successful at affiliate marketing you need to find your passion and see if there is something related to that passion that you can sell as an affiliate. In order to sell the product you are going to need a website. If only it was that simple. In order to succeed at Affiliate Marketing there is a lot more that you need to learn. The best learning tool around is Wealthy Affiliate. All the tools and training that you need to be a successful affiliate marketer can be found at Wealthy Affiliate. Online success through affiliate marketing requires dedication, hard work and patience. As I said Wealthy Affiliate has all the tools, tutorials etc. for you to become a successful affiliate marketer. Join for free today and add your hard work and dedication to what Wealthy Affiliate has to offer and you will have a winning combination. If you have any questions about Wealthy Affiliate or any of the content on this website please do not hesitate to ask. An unasked question may be a lost opportunity.